When buying fresh-cut flowers from a florist, you usually receive a tiny packet of powder or liquid along with your bouquet. This packet is a preservative, which is designed to make your flowers last. Flower preservatives typically contain three main ingredients that ensure the flowers can take up water and provide food that they can no longer produce themselves. Cut flowers need preservatives to stay fresh and bright. Flowers get what they need from the plant while they grow, but when cut from the plant, they no longer have this supply of nutrients. Preservative packets contain everything a cut flower needs to stay fresh and bright in your vase. Homemade recipes that include aspirin, wine or pennies often will not make your flowers last longer. Flowers require sugar to maintain color and fragrance. When they are growing, they get sugar from the leaves, where it is produced during photosynthesis. Once they are cut, their supply of sugar is gone and the flowers quickly wilt and die. Flower preservatives typically include dextrose, not table sugar, which the cut stem draws up and transfers to the buds and flower. Flower preservatives use biocides like chlorine or bromine to control the growth of bacteria on the cut flowers. All flower stems have bacteria, fungi and other organisms on them. These feed on the sugar which is in the flower and then they multiply. These organisms can block the ends of the stem, making it impossible for the flower to take up water it needs to survive. Without a biocide, the life of your flowers is shortened very quickly. An acidifier makes the pH of the water closer to that of the flower's cell sap. Most tap water is alkaline, which reduces the life of cut flowers. The flowers take up more water if the pH level is around 3.5, so preservative packets include a mild acid like citric acid to acidify the fresh water you put in the vase. The acidifier also stabilizes the flower's pigment, keeping its bright color. In addition to using preservative packets, you can help your flowers last by doing a few other things like trimming the ends of your flowers before putting them in a vase. The ends of the flower stems will become plugged with bacteria and other organisms in the time between cutting and putting them in water. By trimming the ends, you reopen the ends so that the flowers can take up the water and preservative. 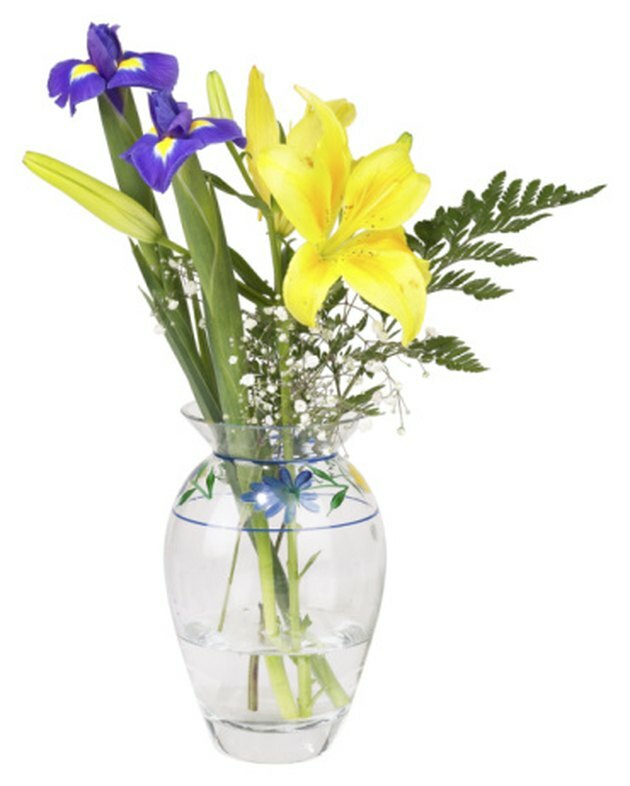 Check the water in the vase daily and add water and preservative when it is low. Hot and cold drafts can increase water loss, so keep the flowers away from direct heat sources and fans. Do not store your flowers with fruit such as apples, which produce a hormone that causes flowers to age more rapidly. How Long Can Cut Flowers Live Without Water? How Often Should You Change the Water for Flowers? How Do Flowers Absorb Water?